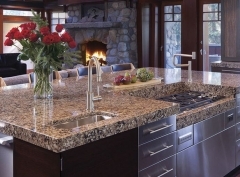 Kitchen Countertop 25.5"×96", 26"×96", 26"×108", etc. Countertop Round Table 36", 42", 48", 60",etc. 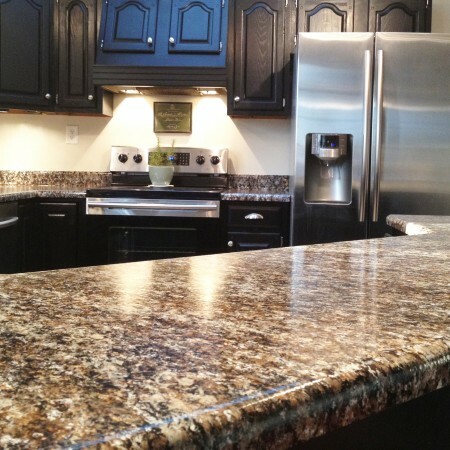 Countertop Island 36"×72", 36"×108" etc. Countertop Snack Bar 12"×78",16"×78", 18"×96" Island (snack bar), etc. Common sizes for vanity tops 25"×19"/22", 31"×19"/22", 37"×19"/22", 49"×19"/22", 61"×19"/22"(single or double sinks), etc. Thickness 3/4'', 1 1/4" etc. Full Bullnose, Half Bullnose, Flat Eased(eased edge), Bevel Top, Radius Tops, Laminated, Ogee Edge, Beveled Processed, etc. Vanity Top, Kitchen Top, Porcelain Sink, stone Sink, Wash Basin, etc. USA, EU, Canada, Oceania, Midele East, South Africa etc. Own quarry and over 15 years factories in China. More than 20 QC staffs team, strict QC assures quality. Professional sales service team in China ensure convenient export and fast shipping service. 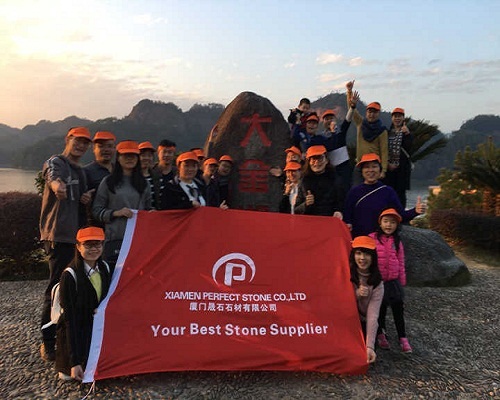 Why choose Xiamen Perfect Stone? sales representative sare available to reply all inquiries and emails within 24 hours. We guarantee to replace or refund any wrong or broken products that caused in our part. 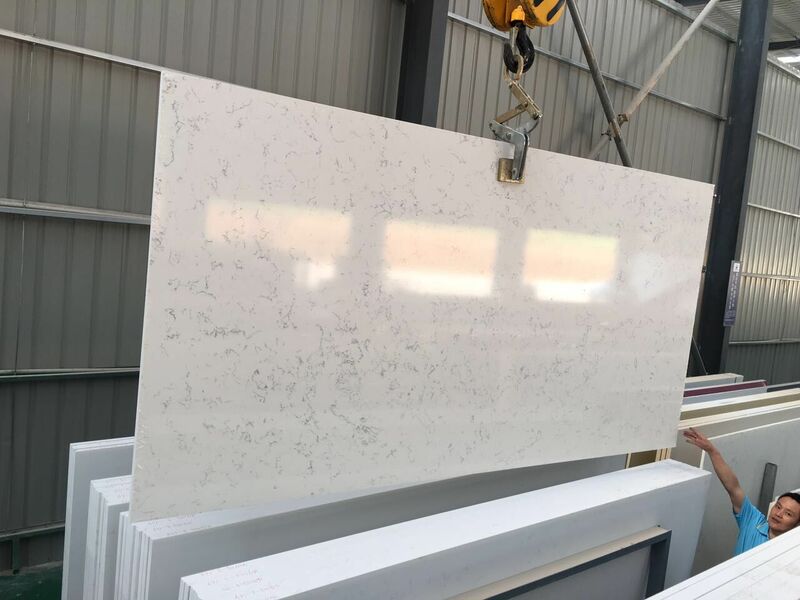 Product Description Chinese white color countertop 1.Cover: granite countertops, granite island tops,table desk, worktops,granite vanity tops,thresold marble countertops & vanity,registration desk,tub surround,window sill. 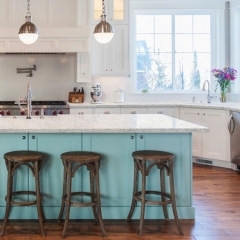 2.Size: Standard granite countertops: 108"x26",96"x25.5", island top:96"x36",108"x44",96"x40",72"x36", vanity tops: 22"x25",22"x31",22"x37",22"x49",22"x61",x22"x73". Other unregular measurement canbe made in Newstar, and we also make shower panel (tub surrounds) 3.Projects: Hotel, Condo, Goverment project, apartment project,airport building, ect. 4.Colours: white,black, grey, brown,yellow,rusty, ect. 5.Edge treatment: 2CM: Flat polished, full bullnose, ogee, bevel top.ect. 3CM: Flat polished, full bullnose, ogee, bevel top,ect. 2+2cm(1 /2") laminate: OG,BN,Flat polished,waterfall, radius,ect. 6.Accessory: clips, paper holders,faucet, ceramic sink (cupc approve), stainless steel sink (cupc approve), copper sink, granite farm sink. 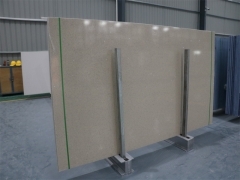 Product Description Chinese catactta gold quartz countertop 1.Cover: granite countertops, granite island tops,table desk, worktops,granite vanity tops,thresold marble countertops & vanity,registration desk,tub surround,window sill. 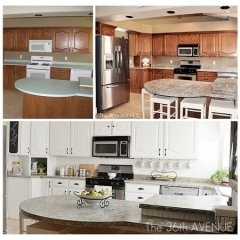 2.Size: Standard granite countertops: 108"x26",96"x25.5", island top:96"x36",108"x44",96"x40",72"x36", vanity tops: 22"x25",22"x31",22"x37",22"x49",22"x61",x22"x73". Other unregular measurement canbe made in Newstar, and we also make shower panel (tub surrounds) 3.Projects: Hotel, Condo, Goverment project, apartment project,airport building, ect. 4.Colours: white,black, grey, brown,yellow,rusty, ect. 5.Edge treatment: 2CM: Flat polished, full bullnose, ogee, bevel top.ect. 3CM: Flat polished, full bullnose, ogee, bevel top,ect. 2+2cm(1 /2") laminate: OG,BN,Flat polished,waterfall, radius,ect. 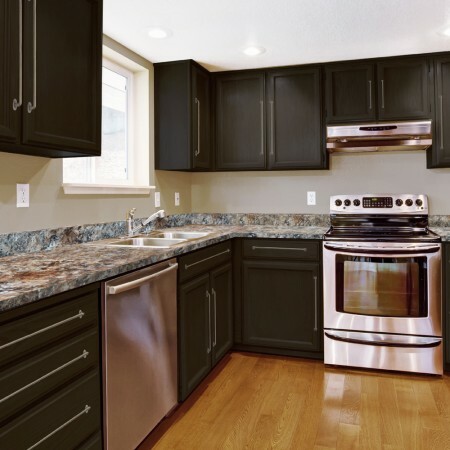 6.Accessory: clips, paper holders,faucet, ceramic sink (cupc approve), stainless steel sink (cupc approve), copper sink, granite farm sink. 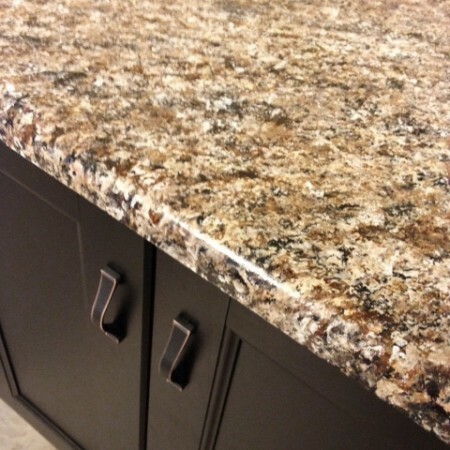 Product Description Chocolate quartz with- kicthen countertop 1.Cover: granite countertops, granite island tops,table desk, worktops,granite vanity tops,thresold marble countertops & vanity,registration desk,tub surround,window sill. 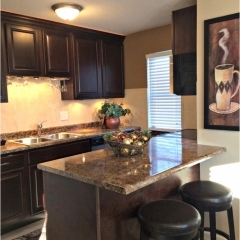 2.Size: Standard granite countertops: 108"x26",96"x25.5", island top:96"x36",108"x44",96"x40",72"x36", vanity tops: 22"x25",22"x31",22"x37",22"x49",22"x61",x22"x73". Other unregular measurement canbe made in Newstar, and we also make shower panel (tub surrounds) 3.Projects: Hotel, Condo, Goverment project, apartment project,airport building, ect. 4.Colours: white,black, grey, brown,yellow,rusty, ect. 5.Edge treatment: 2CM: Flat polished, full bullnose, ogee, bevel top.ect. 3CM: Flat polished, full bullnose, ogee, bevel top,ect. 2+2cm(1 /2") laminate: OG,BN,Flat polished,waterfall, radius,ect. 6.Accessory: clips, paper holders,faucet, ceramic sink (cupc approve), stainless steel sink (cupc approve), copper sink, granite farm sink. 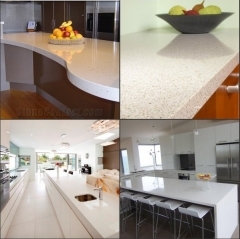 Product Description Chinese pure white color countertop 1.Cover: granite countertops, granite island tops,table desk, worktops,granite vanity tops,thresold marble countertops & vanity,registration desk,tub surround,window sill. 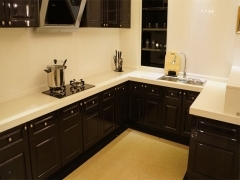 2.Size: Standard granite countertops: 108"x26",96"x25.5", island top:96"x36",108"x44",96"x40",72"x36", vanity tops: 22"x25",22"x31",22"x37",22"x49",22"x61",x22"x73". Other unregular measurement canbe made in Newstar, and we also make shower panel (tub surrounds) 3.Projects: Hotel, Condo, Goverment project, apartment project,airport building, ect. 4.Colours: white,black, grey, brown,yellow,rusty, ect. 5.Edge treatment: 2CM: Flat polished, full bullnose, ogee, bevel top.ect. 3CM: Flat polished, full bullnose, ogee, bevel top,ect. 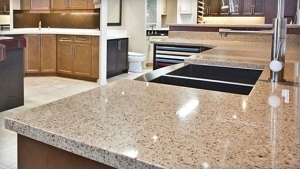 2+2cm(1 /2") laminate: OG,BN,Flat polished,waterfall, radius,ect. 6.Accessory: clips, paper holders,faucet, ceramic sink (cupc approve), stainless steel sink (cupc approve), copper sink, granite farm sink. 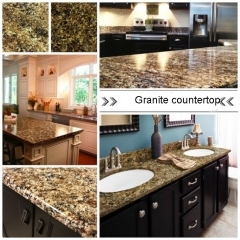 Product Description quartz with- kicthen countertop 1.Cover: granite countertops, granite island tops,table desk, worktops,granite vanity tops,thresold marble countertops & vanity,registration desk,tub surround,window sill. 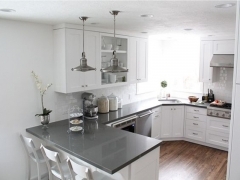 2.Size: Standard granite countertops: 108"x26",96"x25.5", island top:96"x36",108"x44",96"x40",72"x36", vanity tops: 22"x25",22"x31",22"x37",22"x49",22"x61",x22"x73". 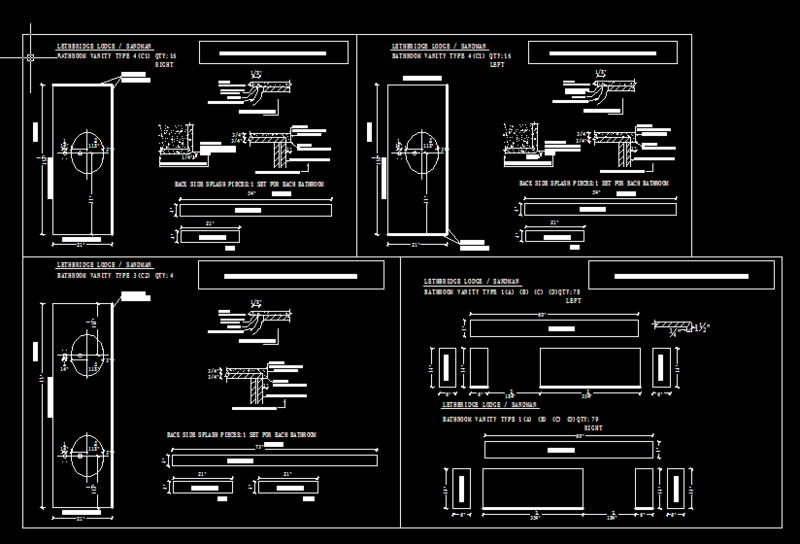 Other unregular measurement canbe made in Newstar, and we also make shower panel (tub surrounds) 3.Projects: Hotel, Condo, Goverment project, apartment project,airport building, ect. 4.Colours: white,black, grey, brown,yellow,rusty, ect. 5.Edge treatment: 2CM: Flat polished, full bullnose, ogee, bevel top.ect. 3CM: Flat polished, full bullnose, ogee, bevel top,ect. 2+2cm(1 /2") laminate: OG,BN,Flat polished,waterfall, radius,ect. 6.Accessory: clips, paper holders,faucet, ceramic sink (cupc approve), stainless steel sink (cupc approve), copper sink, granite farm sink.